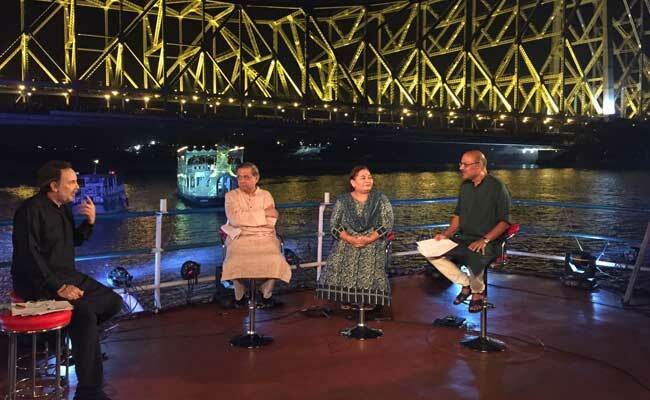 The moment Battleground Bengal ended on board that ship on the Hooghly, the haze that had settled on my brain miraculously lifted and the smartest of repartees that would have made Groucho Marx proud came slithering into my mind. And I just have to share them with you, irrespective of the difference they will make or won't to my annual increment. Three things, really, to keep it short. You asked me if Bengal's image in the eyes of industry was changing after Singur. And I said, "Land remains an issue, the youth want jobs but aren't getting any. How many can the government hire?" Evasion of the worst order, if you ask me. Blame it on the mental haze. This January, the whole Malda/Kaliachak incident somehow cast a shadow over the summit. Or should I say, me? I can't remember what investments or MoUs came. But last year, 2015, scores of MoUs were signed. Among them, MoUs for poultry farms. Not one, not two but dozens. Now, I'm not sneezing at poultry farms, I love my scrambled eggs in the morning. Bengal loves eggs. So much, that we have to import from Andhra. So, more power to poultry farms in Bengal. But is this what Bengal really needs - low capital, low employment and low returns? Opponents poke fun at the brand of industry Mamata Banerjee talks about. In Haldia once, she talked of 'dhoop' or agarbatti or incense sticks. Lately, its been "telebhaja" and "langcha" hubs. To the uninitiated, telebhajas are divine Bengali pakoras, langchas are gulab jamuns shaped like sausages. The best! Is this the industry Bengal needs? Bengal claims to have won awards for MSMEs - Medium and Small Scale Enterprises - and, I repeat, more power to them. We need them like we need start ups, and next time you are in Kolkata, I will treat you to Wow Momos, one of Bengal's best food start-ups that are almost reaching the iconic fuchka status. But why not heavy engineering, why not automobile, why not ship-building, what happened to all those railway coach factories Mamata Banerjee promised as Railway Minister ? At those two business summits, central government ministries announced the biggest investments. The BJP-run Central government - no wonder the opposition talks about "Parde ke samne kusti aur parde ke pichhe dosti" (friendship behind the scenes) between BJP and Trinamool. Just so I am not accused of being anti-Mamata and pro-Left, why did the Left do nothing either for industry? Why did Buddhadeb let the Nano go? Why did the trade unions chase industry away, why so many bandhs and strikes, why so many mandays lost, why the flip flop on English in schools that's handicapped generations of youth? You men on the show kept talking about the Bengal tiger. I wanted to say, you are in the land of the Royal Bengal Tigress, so beware. And finally, finally, I had this wonderful last line in my head, which I forgot to deliver in that nerve-wracking one hour on the boat in the presences of eminences like Shekhar Gupta, Dorab Sopariwala and your self. 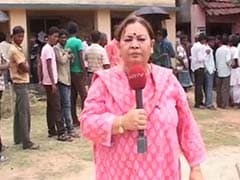 I wanted to say, there hasn't been a single Kaal Boishakhi this April, the spectacular thunder storms that brings instant relief to burning Bengal in the cruelest month. I wanted to say that through the show, I was praying that one such Kaal Boishakhi doesn't break over our heads and rain on my parade. I wanted to say, the air was so still, a sure sign a storm is about to break. Oh! What a missed opportunity for those brilliant one liners ! Dear Dr Roy, I promise to do better next time.